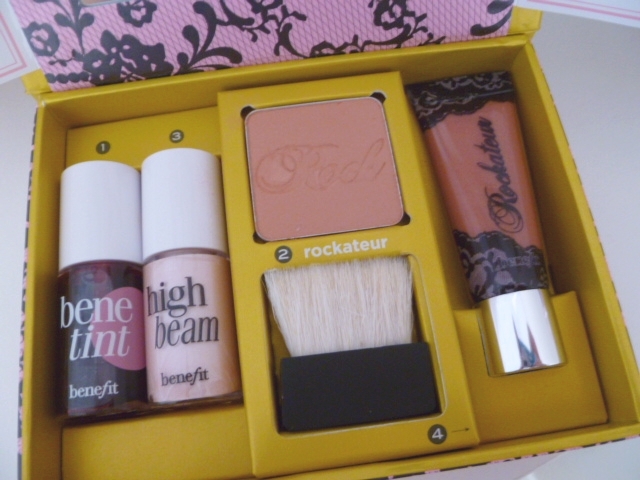 Benefit has always been one of those brands that looks cute on your dressing table or in your makeup bag. It’s on the pricey side, but I’m all for high end brands every once in a while. It’s been a few months since I’ve splashed out on a Benefit product, and the last one was the They’re Real Mascara (which is the best mascara I’ve ever used but a pain to get off). 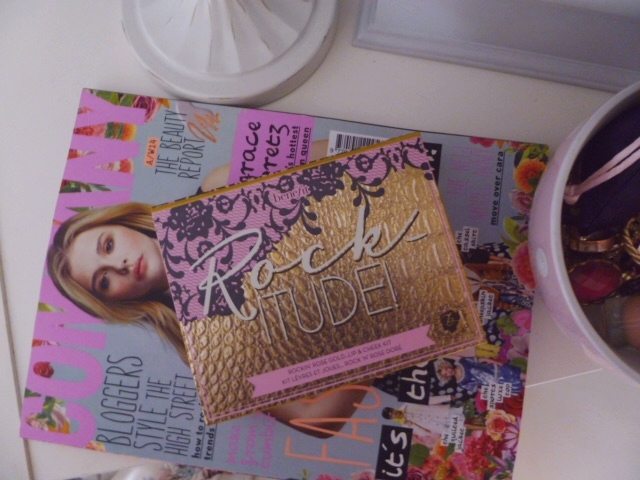 Today’s review is on the Rockitude Set. I can’t believe how lucky I was to snap this up before it disappeared off Boots‘ website! As soon as I saw Benefit’s Instagram post I rushed straight to the Boots app and got one. Apparently it was a brand new set in a flash sale, which I picked it up for £25.50. Inside it features the famous Benetint & High Beam, as well as a sample of the Rockateur Cheek Powder (with applicator) and the Rockateur Ultra Plush Lip Gloss. So in my opinion you get plenty for your money! I’ve owned the Benetint and High Beam before and loved them; the Benetint is a lovely rosey shade for my cheeks and High Beam is a gorgeous highlight. I’ve always liked the idea of the application, plus I know they’ll last me ages. Even though I’ve never been a huge fan of using the Benetint for my lips, the colour it leaves on the cheeks will be perfect for autumn and winter. Onto the Rockateur products; all I can say is, I absolutely adore them! 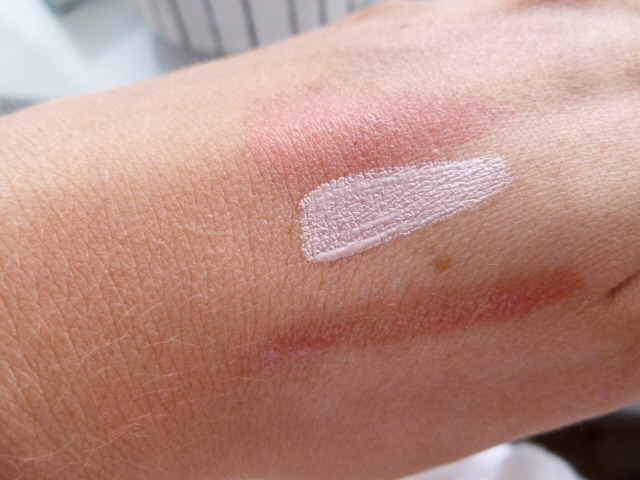 On first application, I couldn’t believe how pigmented the blusher was with just one sweep. It’s such a beautiful peachy rose gold shade, it’s my idea of the perfect blusher/bronzer combo. I love it for summer, yet I know I’ll wear it all year round as I love wearing blusher in the winter. I’m not usually a big wearer of lipglosses, but this rose gold colour is a beautifully subtle shade that’s ‘your lips but better’. I hate that phrase but it’s the best way of describing it. The consistency isn’t sticky at all, and glides on nicely. I’m not a huge fan of the applicator as it’s easy to waste product but I can let that slide. So if you like Benefit products, I suggest picking this up when it comes back to stores permanently! The handy thing about this set is that the sizes of the products are perfect for travel or just popping in your handbag for during the day. It’s not a huge box to carry and the hidden mirror is also a bonus. So this is what I thought of Benefit’s Rockitude set! Have you tried any of the products included?